One of the significant advantages of living in Southeastern Massachusetts is that you gain access to a wide variety of vendors and skilled artisans when it comes to professional event planning. Unlike small towns that are nowhere near a big city filled with talented individuals, well-known and reputable businesses, and tons of options, even a Swansea wedding reception can benefit from being considered in the Greater Boston area. Wedding cake bakers, DJs and bands, florists, and specialty services can all be obtained from just about anywhere in the general area and delivered to your MA wedding and banquet facility. 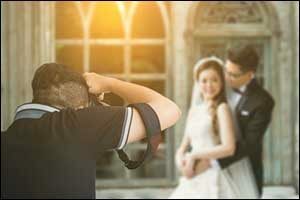 Hiring a photographer can be a challenge for many couples. Most wedding blogs barely even touch down on the subject other than to say, “and hire a photographer for the big day.” Photos are the things we will look back in the days, weeks, months, and years after the ceremony is long done and over. You want to make sure that you hire the very best photographer to take care of all the details at your South Coast reception hall. From the intimate moments in the bridal suite, while getting ready for the ceremony, to the moment you dash out to the “getaway car” to head off on your new life together, you want it all to be professionally recorded. There’s no chance for a do-over. No second opportunity to see the look on your father’s face when he sees you in your dress or to catch you and the love of your life smiling as you smoosh cake all over the place. Hiring a photographer is almost as important as choosing the right MA wedding and banquet facility for your celebration. You need to take your time and do it right. As soon as you set the date and secure the venue, you need to begin searching for the right photographer to record all of those special moments so you won’t forget a thing. You can start your search by speaking with professional event planning staff at the venue to get a few recommendations of pre-vetted vendors in the local area. Believe it or not, there are many different types of photographers that you should consider for your Swansea wedding reception at Venus de Milo. Before you conduct any interviews or start checking out your options, take some time to learn a little bit about the different types of photography available for weddings. Choose the style that most appeals to you or works with your wedding theme at the South Coast reception hall. This will help you narrow down the choices when the time comes to select a photographer for the MA wedding and banquet facility. PORTRAIT PHOTOGRAPHY – Think traditional, classic portraits that feature you and your new spouse, the two of you and the wedding party, you with the bridesmaids, him with the groomsmen, family shots with both sides, and other posed shots. Cutting the cake, tossing the bouquet, making the toast, dancing the first dance – you get the picture. All photos are staged and taken in front of traditional spots. When you choose a venue for your professional event planning, make sure that there are backdrops that will work with this type of photography, such as statues, gardens, grassy areas, and other natural locations. ARTISTIC PHOTOGRAPHY – While similar to portrait photography in that the shots will all be strategically posed, artistic photography is even more creative. The photographer will usually include their artistic point of view into your photos, so if you want a dreamy and romantic shot, choose a photographer that does this type of work. Black and white photos, sepia tones, blurred backgrounds, and motion shots. If you want one-of-a-kind photography for your Swansea wedding reception and ceremony, then choose an artistic photographer to record your day. DOCUMENTARY PHOTOGRAPHY – More relaxed and spontaneous, this type of photography captures every moment, including the couple, wedding party, guests, decorations, tiny details, and all of the action. Think about it as a documentary of your day at the South Coast reception hall recorded for posterity in photos. Candid shots of people dancing, enjoying the food, laughing and talking, and having a good time. Many couples choose to hire both a traditional or artistic photographer for staged portrait shots and also a documentary style photographer for everything else. The best piece of advice that anyone can give you about professional event planning is to secure the venue as soon as possible. Give yourself at least a year of planning for a large scale wedding and at least six months for everything else. 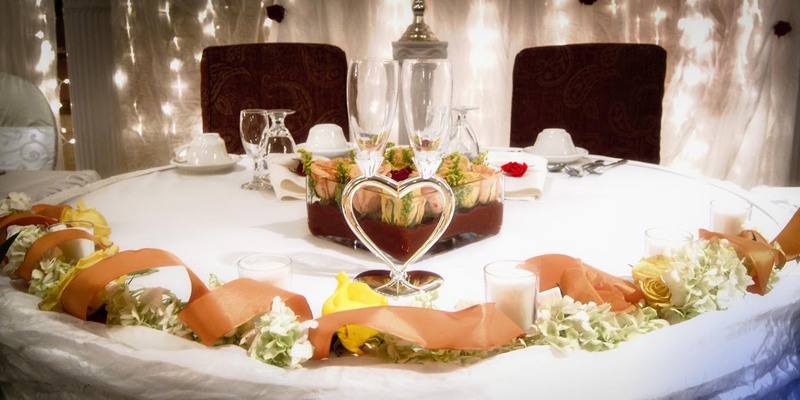 Some couples take even more time, especially if the MA wedding and banquet facility that they want is in-demand and difficult to get without months and months of notice. If you would like to schedule a tour of the world-famous Venus de Milo for your Swansea wedding reception, give us a call at 508-678-3901. Our team can answer any questions you have about our South Coast reception hall and help you with scheduling your special day at our premier wedding venue.